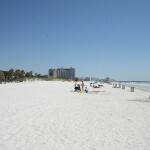 Florida’s Gulf of Mexico coast is a prime vacation destination, and Fort Myers is one of the best choices for all ages. See the winter estates of Henry Ford and Thomas Edison, play on exceptional public golf courses, or just relax on miles of white sandy beaches. 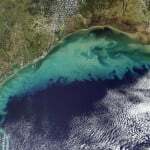 Water temperatures in Fort Myers range from around 66F in February to 70F in March, and like the land temperature, rise fairly consistently throughout the year to highs of approximately 78.8F in August. Mid August to mid September has more rainfall which attracts mosquitoes, so come prepared. However, with much lower prices than in the winter high season there are also many benefits. Fishing is always good and there are excursions available for marlin and other species. 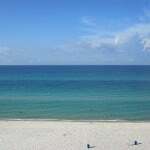 Fort Myers is not a big fixture on the surf calendar, though the best times for surfing are the fall months. However, world class sailing, sport fishing and wonderful local attractions more than make up for this. 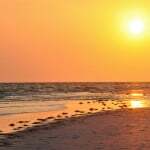 Fort Myers has a tropical to sub tropical climate with short warm winters that enjoy temperatures of around 70F in February, and long hot summers which see average daily temperatures of 84.7F in August. December to March is the most popular time to visit, and also the most expensive as visitors flock from colder areas of the US to enjoy the Fort Myers sunshine. Summers are humid and the highest rainfall months are July and August but precipitation, generally in the form of late afternoon showers, passes quickly and has a cooling effect. 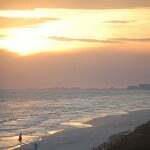 A breeze from the Gulf keeps things pleasant and swimming and scuba diving, plus various water sports like kayaking and wind surfing are popular. 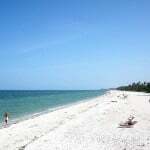 Fort Myers is easy to reach from all parts of the US and further afield thanks to excellent air, rail and road links. Visit Fort Myers in January and February for the rare and exciting sight of manatees as they herd in water heated by the nearby Florida Power and Light Plant. The best vantage point is Manatee Park at 10901 State Road 80. Catch the Boston Red Sox who do their spring training in Fort Myers, or explore Sanibel Island where the JN Darling Wildlife Refuge is over 6000 acres of wetlands, mangrove swamps and other natural habitats. Fort Myers beaches are open from 8 a.m. till sunset and with 365 days of sunshine every year, there’s never a dull moment.